low toxicity to humans and pets. After many years of patient research, the solution has finally arrived. The Termidor Inside-Out program. and outside your home, to ensure complete termite nest elimination and full protection from future termite attack. applied by professional Pest Control Operators directly on to the termites, either inside your house or onto activity around the yard (trees, fences etc). Termidor Dust is also perfect for treating active termite bait stations. applied immediately following successful eradication of termite activity in the home to ensure protection in the future. building. They do this day after day, year after year until they find a way through. termites continue to randomly forage though the soil until they encounter Termidor and pick up a lethal dose. Termidor moves only a small distance outward from the site of application before binding tightly to organic matter in the soil. This means that Termidor concentration decreases with increasing distance from the site. the product is at its lowest concentration. others in the colony through normal feeding and grooming. out the entire colony. If termites continue to tunnel into the treated soil where Termidor concentration is higher, they will die more quickly. This means that Termidor is two termite treatments in one. THEN WHY USE THE TERMIDOR DUST? termite control states that an initial remedial treatment, such as a dusting, be conducted before installing a chemical treated zone. The performance of Termidor has been proven around the world, in all types of conditions, and in the most difficult-to control situations. EUP Commercial Trials. 22 Buildings treated during 2002 in Australia. label rate of Termidor. Both weather-exposed and covered sites were assessed. providing 100% control 8 years after treatment, while a number of competitor products failed much earlier. This is illustrated in the table below. and 2x the rate for all other species. throughout Asia. In Thailand, Termidor is now the biggest selling termiticide in the most difficult tropical conditions. been assessed by the Commonwealth Department of Health and Ageing, and is fully approved for use in domestic and commercial situations. Termidor is water-based and has no odour. Termidor will not leach through soil and is not damaging to soil microorganisms, earthworms and plants. 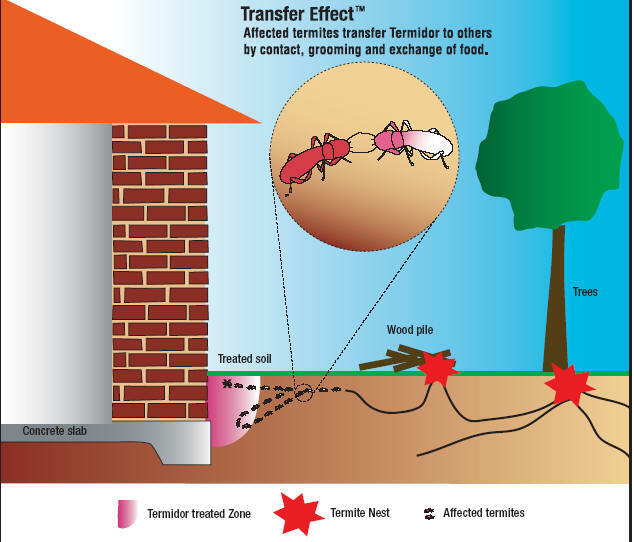 The Termidor Inside-Out program provides highly effective, long-term residual termite control. protection against termite entry and sill continue to control termites for at least 8 years. 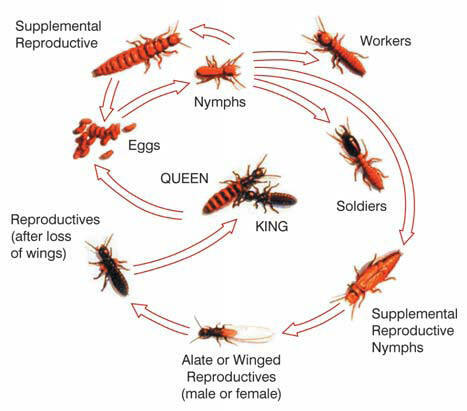 termite populations more rapidly than baiting systems which rely on attracting termites to begin to work. The Termidor Inside-Out program can only be applied by a licensed pest control operator to ensure that the treatment is successful. 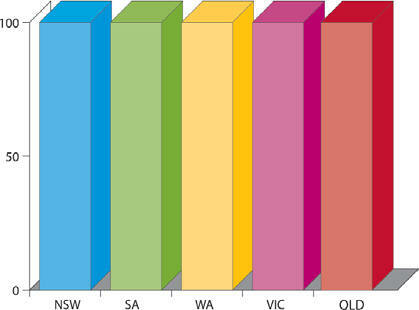 home and surrounds at least every 12 months, and more frequently in high risk situations. • DO keep all sub-floor areas clean, dry and well ventilated where possible. is good drainage around the house. • DO NOT build up soil, mulch or garden beds against the house. • DO NOT store timber or wood-based materials under or against the house. suitability for a specific purpose. It is the responsibility of the user to ensure that any proprietary rights and existing laws and legislation are observed. ® = Registered trademark of BASF. © 2007 BASF Australia Ltd.
Termidor should be applied by licensed Pest Control Operators only.